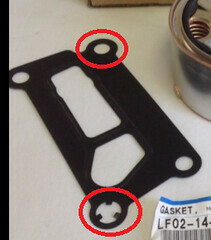 There is a YouTube Instructional about a man fixing his leaking oil cooler with make-your-own gasket material. For the love of all that is holy on this amazing planet, DO NOT DO THIS. I cannot stress this enough, and you will see why. The only thing I can recommend from his tutorial is the identification of the leak and disassembly to the oil cooler, nothing more. 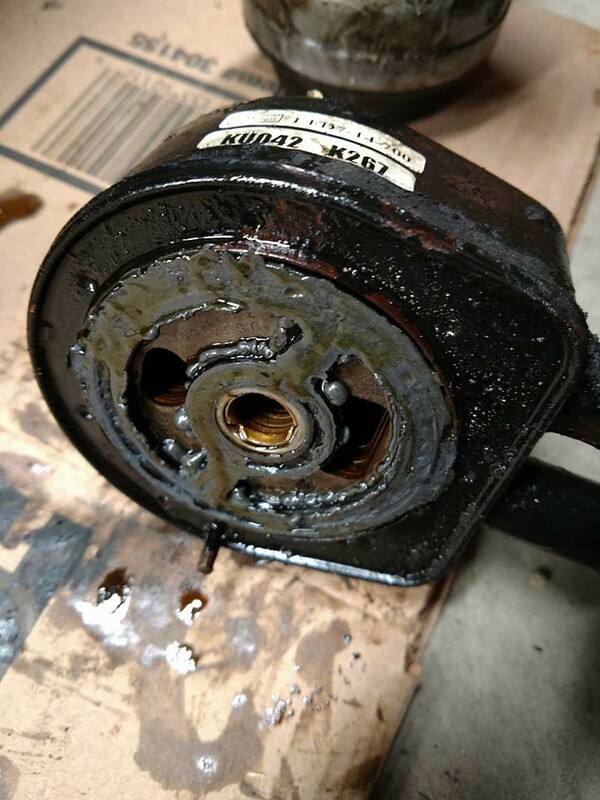 The symptoms were leaking massive Oil, about a 1-2 quarts every gas fill-up. 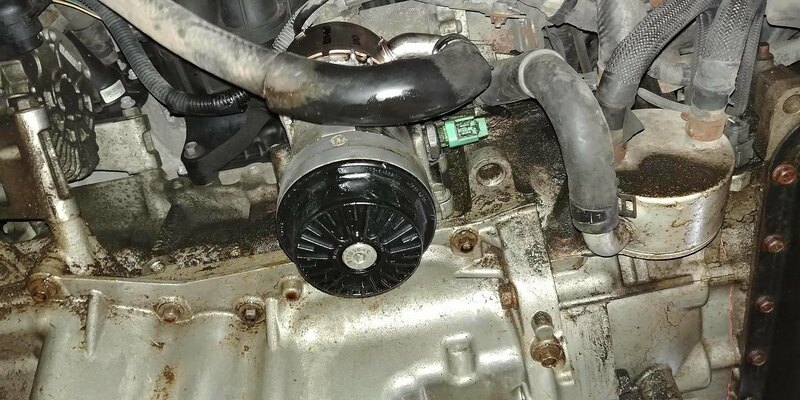 The leak would drip onto the oil filter housing and the lower coolant line attached to it. 6a. If you have the older "black" style oil cooler, one of the 4 bolts will require an open wrench due to clearance. New "silver" style is smaller. Oil Filter bottom cap: 7ft/lbs. And that's it! Fired it up and absolutely no leaks! Be sure to top up all fluids when you are complete and properly bleed your coolant system to avoid any overheating! Let me know if there's anything I should tweak in this post. I hope you learned a lot from it too! Do leave a post if you have any questions. 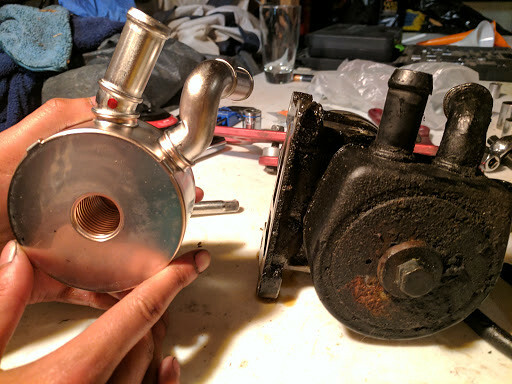 My friend was able to send me more photos he took of both the old and new oil coolers. 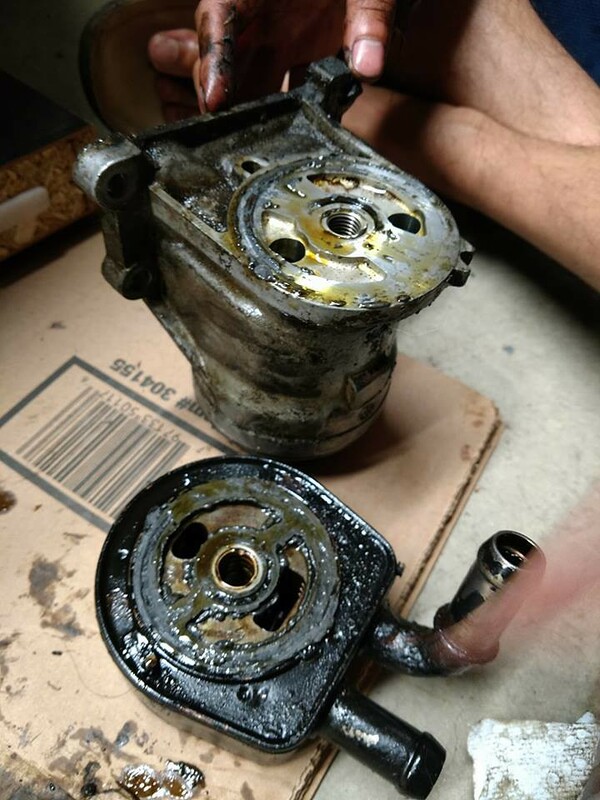 I'm the the process of doing the same thing to my cx-7 as I'm having the same issue and was seeing if you had problem taking off the hoses from the old oil cooler? 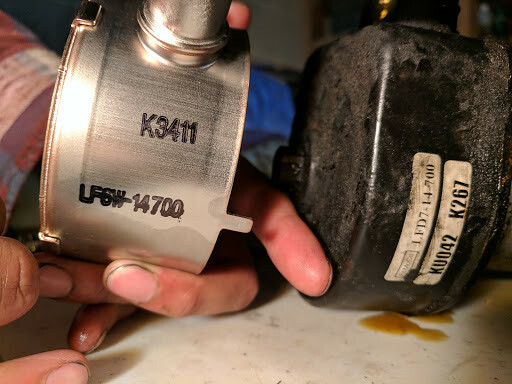 If you have the plastic canister filter housing, this looks like a good time to change over to a spin on filter housing. You nailed this repair perfectly. Do it the way Nate did it and it will be a job well done. Good fix. 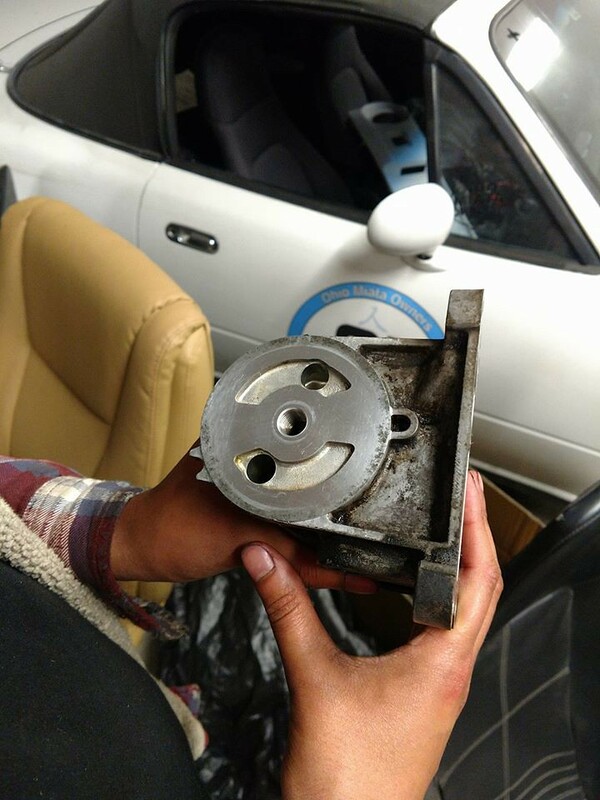 Even better- replace the mount housing with the one from the Mazda 3 2.0. Get rid of the cartridge filter altogether. I had the spin-on type filter- but the "black edition" cooler. After replacing the gasket twice, and having it fail after a few months, I finally ordered a new OEM cooler. Fingers crossed- 3 years and many miles, it's still holding together.